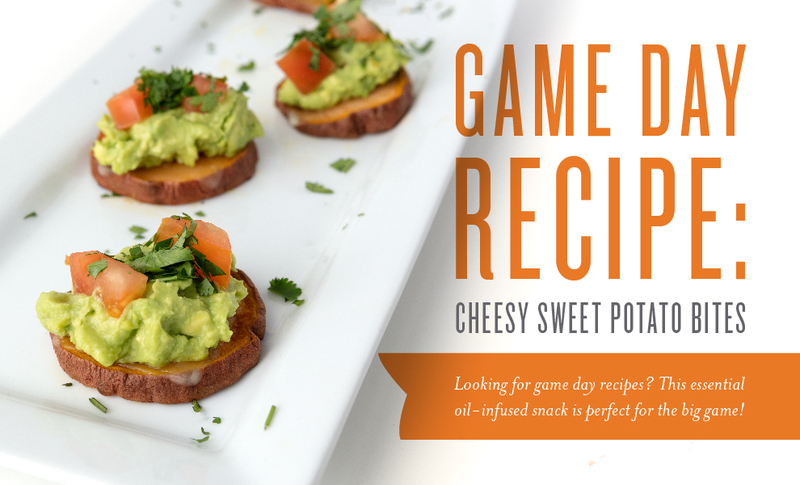 Celebrate the big game without the overindulgent game day recipes by making our sweet potato party bites! 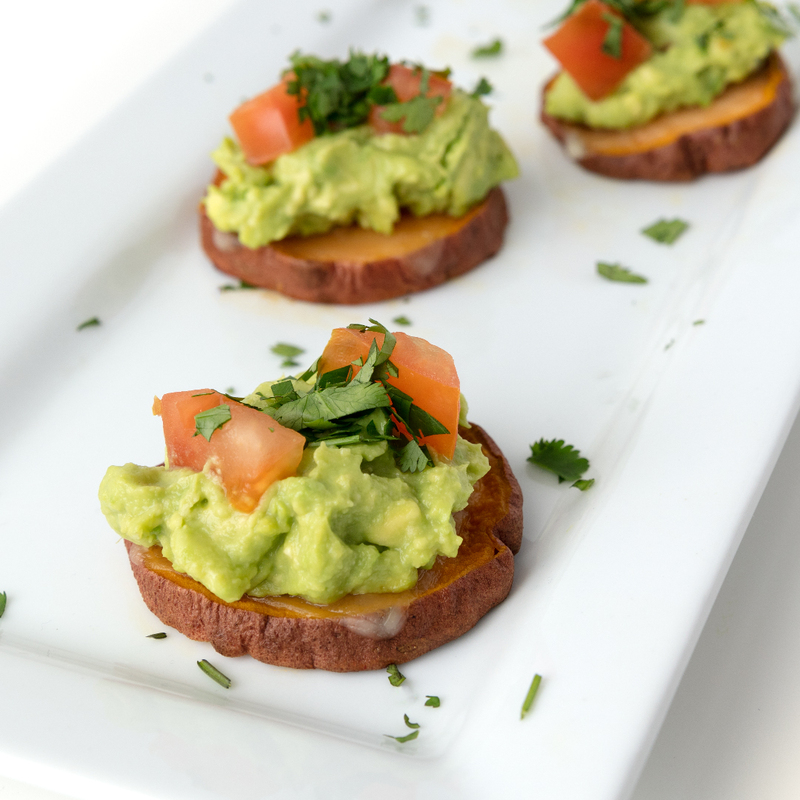 Unlike other recipes for game day, this homemade treat gives you a satisfying snack with fresh, wholesome ingredients such as avocado, fresh mozzarella, tomatoes, and cilantro. Plus, they’re so tasty no one will guess they belong with your stash of healthy recipes! Need more easy game day recipes? 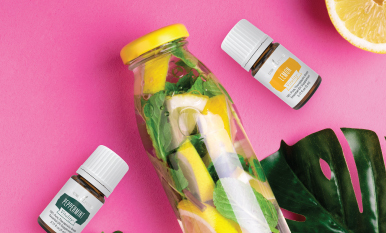 Check out our other essential oil-infused recipes for more great ideas! Place oven racks in upper and lower thirds of your oven and preheat to 425⁰ F. Line two rimmed baking sheets with foil and lightly coat with olive oil. 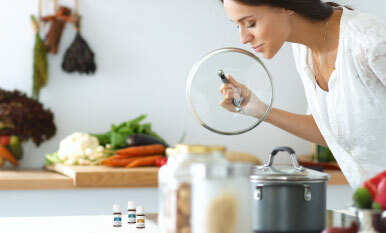 Dip a toothpick into Black Pepper Vitality essential oil and swirl the toothpick in 1½ tablespoons olive oil. 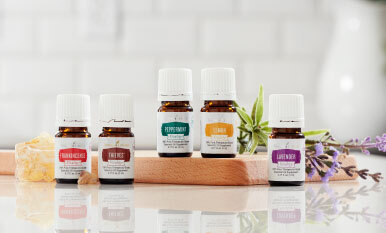 Continue blending essential oil and olive oil until you’ve reached your desired flavor. Scrub sweet potatoes until clean and cut into ½-inch slices. Arrange in a single layer on greased baking sheets, then brush sweet potato tops with olive oil mixture. Sprinkle slices with salt. Roast for 20–25 minutes or until golden brown underneath. If you’re not using mozzarella, flip slices and roast for an additional 10 minutes or until cooked through. If you are using mozzarella, remove sweet potatoes from the oven at 8 minutes, top with a mozzarella slice, return to oven, and bake for remaining 2 minutes or until the cheese is melted. Remove baking sheets from oven and set aside to cool slightly. Meanwhile, in a small bowl, use a fork to mash together avocados, Lemon Vitality, Lime Vitality, lime juice, chili powder, and garlic. Top slices with a dollop of avocado mixture and garnish with chopped tomatoes and cilantro. Season with additional salt and pepper to taste. What’s your favorite way to celebrate the big game? Tell us in the comments below!